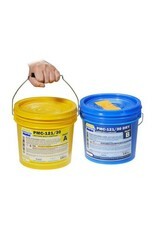 The PMC®-121 Series urethane rubbers feature convenient one-to-one by volume mix ratios. 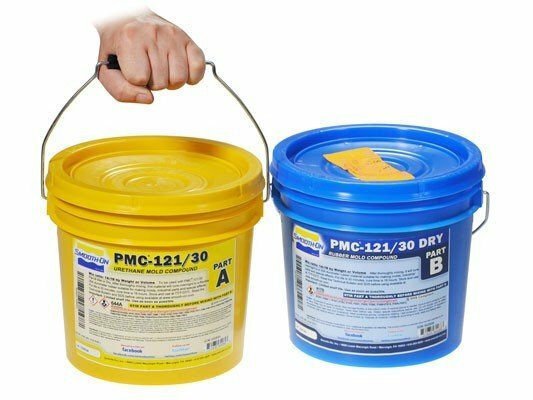 PMC®-121/30 Dry and PMC®-121/30 Wet are exceptionally strong and abrasion resistant for soft urethane mold rubbers. These rubbers will meet the stringent demands of production casting of wax, plasters, concrete, resins and epoxies. Vibrant colors can be achieved by adding So-Strong® Color Tints, available from Smooth-On. The dry version does not exude an oil and can be used for casting waxes, Smooth-On liquid plastics, gypsum plasters and other materials. The wet version contains a built-in release agent to aid in demolding hard plasters and concrete.